Ships globally direct from Modegy. You've Heard The Songs. Now Hear The Stories. TOLD BY THE DEDICATED COLLABORATORS AND FRIENDS WHO WERE THERE, WITH MICHAEL JACKSON, CREATING THE MUSIC HE LEFT BEHIND. The musical genius at work. 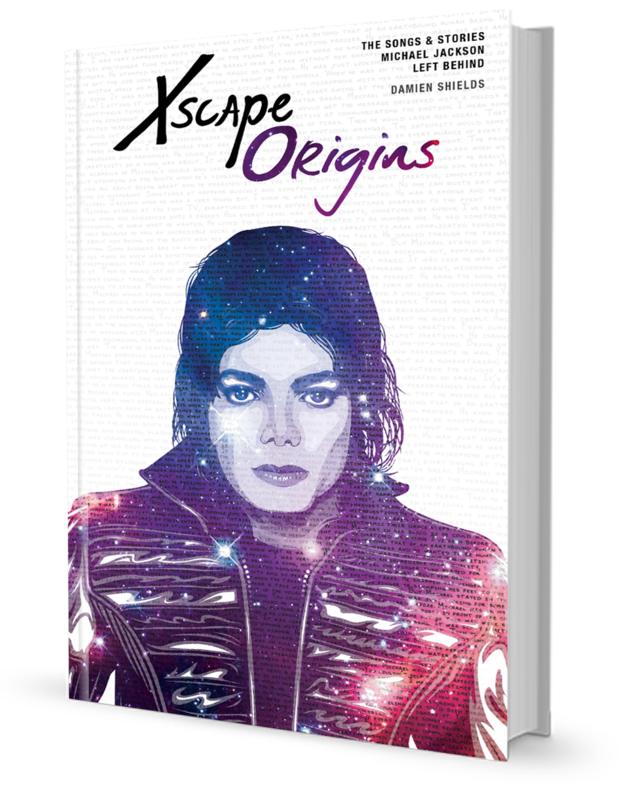 As told by the songwriters, producers, musicians, and technicians who worked intimately with him in the studio, and featuring a touching foreword written by his longtime engineer Matt Forger, Xscape Origins: The Songs and Stories Michael Jackson Left Behind takes you inside the recording studio, delivering captivating fly-on-the-wall insights into the creative process of the greatest artistic visionary the world has ever known. "The process for Michael never followed a pattern or formula. Each song was its own special case of exploring an idea, a melody, a groove, a story to tell, or an emotion to communicate. Sometimes he worked alone and allowed 'the song to write itself,' as he often explained, while other times it was a collaborative effort. Sometimes he found an existing song that inspired him, put his performance on it, and made it his own. Regardless of how the process unfolded, the results were always amazing. Damien Shields has taken on the task of researching some of these songs and the stories behind their creation, and for that I thank him. There are so many lessons to learn from a creative genius like Michael. Just as Michael said, 'Study the greats and become greater,' we are now left to study how he, a poor child from a Midwestern American town, rose to be the most popular entertainer on the planet. These stories are a detailed examination of how some of the songs—unreleased in his lifetime—came into existence." 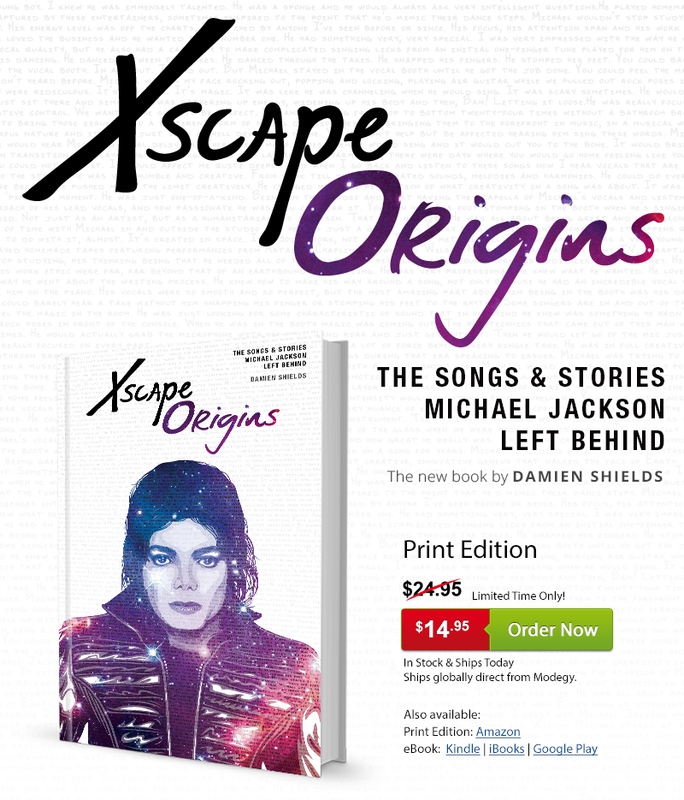 "Damien Shields delves deep to deliver a collection of untold stories detailing the origins and development of the songs on Xscape. This book is guaranteed to satisfy the intellectual palette of Michael Jackson fans who thirst for more knowledge regarding his genius and creativity." "Xscape Origins is jammed with research! But research alone doesn't tell a story. Rather, Damien Shields provides a wealth of background information while taking the reader on a journey." Read Xscape Origins on the go with the specially formatted eBook, available on the Kindle, iBooks, and Google Play platforms.